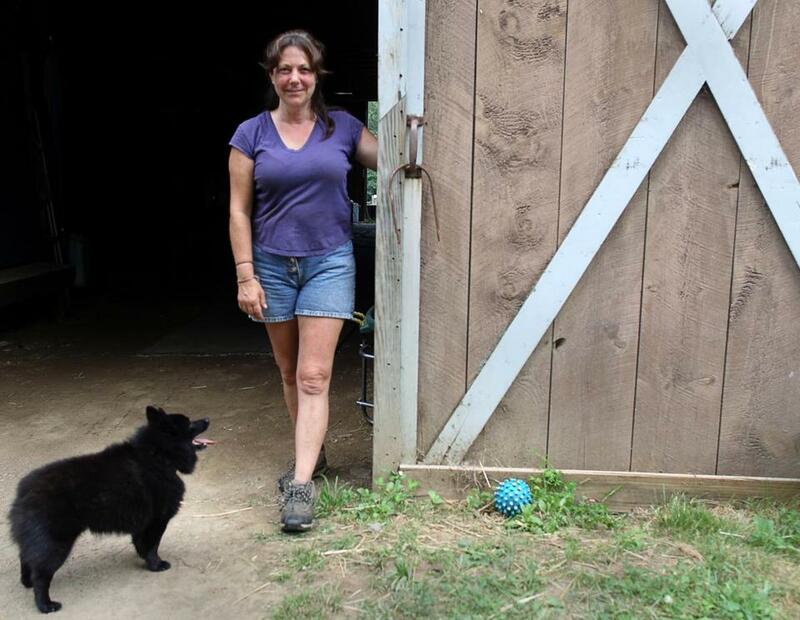 Mary Martin heads up New England Equine Rescues in West Newbury. For more than a decade, Mary Martin has been rescuing horses that have been surrendered by their owners, are neglected, abused, or headed for slaughter. Her ultimate goal is to find new, loving homes for the horses. Now, the founder and president of New England Equine Rescue-North has an added mission: finding a new home. Martin (below) said the 58-acre former sheep farm on River Road in West Newbury — a portion of which the rescue organization has rented since 2010 — will soon be up for sale. Martin, of Groveland, wants to stay in the area, and not just because she works at the farm six days a week (this is the first year she has taken Sundays off) and is on call 24/7. A network of volunteers, veterinarians, and people who offer services has built up around the location. There are currently 12 equines — she also rescues donkeys, mules, and ponies — at the farm. Martin also helps horse owners in a tight spot with a fund to help them buy hay and feed. The rescue organization depends on donations and holds several events a year. Its annual major fund-raiser is an auction, which this year takes place Friday at the Willowdale Estate in Topsfield. The fifth annual silent auction is 7 to 10 p.m. Friday at the estate, in Bradley Palmer State Park. Tickets are $50. Visit neernorth.org.